Everyone feels guilty over something in their past, but not everyone tries to hide what really happened. If only Alec knew how to make everything right again. One of the most important things I look for in good horror is smart writing. This wasn’t the first thing I’ve read from this author, but it is my favorite book from him so far. What I like the most about his writing style is how much effort he puts into developing his ideas. I get the impression that Mr. Faherty spends a great deal of time working behind the scenes to wring out every last drop of horror from his premise before he releases his newest creation into the world. I was able to figure out the ending fairly early on in the plot. There were a few too many clues about what was happening to Alec and the other characters, and some of them were shared too soon. Had I needed more time to put all of the pieces together, this tale would have easily earned a much higher rating. Take my advice and don’t read this right before bedtime. This is one of the creepiest things I’ve read in a long time. Normally I’m less frightened once I figure out what’s happen in a horror story, so it was deliciously unnerving to have the opposite experience. Trying to sleep a few hours after I finished it was an exercise in futility. 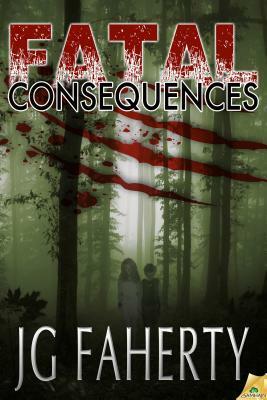 Fatal Consequences is a great choice for anyone who loves the scary side of fiction.